What if I forget user name or password? Email support@oemdd.com and we’ll email you the information. How do I correct a record within a report? Just call or email us, and we’ll help fix it. Are custom fleet management reports possible? We can create fleet management reports with custom presentation of the service data for all equipment. Can data be exported to my system in XML? Yes, we support XML, CSV, or text format. What sort of technical expertise do we need to work with the reports? For web reports, it takes 15-30 minutes to learn to use the system. This fleet management technology was designed for people who aren’t particularly enamored with technology. It’s made specifically for people who simply want answers and information without having to work for it – or wait for it. Why don’t I see the latest data on my reports? The GoPOD may be out of Cellular or Wi-Fi range. If they have connectivity, the data is sent up a few minutes after each transaction. How can I set up the system with little or no IT involvement? The GoPODs or cellular units, capture the data from the Service Trackers and deliver it to the data vault. Reports are accessed through the web. In the long run we work with your IT department to ensure this data goes into your corporate computer system. What happens when maintenance is needed? Isn’t IT help needed then? No. We can access GoPOD directly from the web and perform maintenance and upgrades remotely. There’s no IT involvement needed. Why don’t I see my data in the export file? Data is exported from inside the JobInsight server daily. Those files contain all data not previously exported. The previous day’s data is no longer in that file. The JobInsight report is on a secure server with 120 bit encryption. When you log-in to view your reports, data is exported to a location on the secure server, into a file you can download. Part of the file address is a unique identifier 32 characters long. Data is protected by the highest level of data security used in industry. Can your system help when it’s time to sell or trade equipment? Yes. One Service Tracker client estimates he gets, on average, $15,000 more per unit of equipment (scrapers, motor graters, etc.) at the time of sale because there are no questions about usage and service history. Detailed feedback on utilization of resources – all resources – is a primary reason customers install OEM Data Delivery systems. The job was expected to use an excavator for 40 hours. Instead it was 140 hours. Fuel theft is a problem, because with a pen and paper, you can record anything, and offloading for resale has risen in tandem with the price of fuel. Our systems force accountability. There’s a device on the fuel truck. Fuel anything, and a “P” appears that demands allocation to a piece of equipment. When fueling is complete, the operator beams the truck and the system confirms the gallons dispensed into excavator 1, 2, 3 – or whatever. The refueler must account for every gallon out of the truck. It’s easy to spot deviations. (Dozers do not, for example, use 200 gallons per hour.) Wear parts also impact job profitability. A potential new supplier of dozer teeth tells you he’ll supply you for half of what you pay now. Is that a good deal? If you presently get 20 hours, and the new product delivers only 10, and you also have to figure-in the cost of a mechanic to make an additional change-out, at least you have the information to make the best decision. Knowledge is power! What about use of my equipment by a subcontractor? When your equipment is used by a subcontractor, he’ll be billed accurately because Service Tracker provides absolute start and stop time. 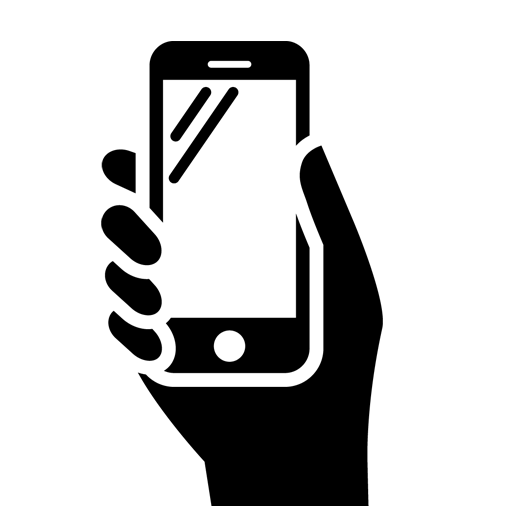 Having electronic-based, rather than memory-based, accountability for usage, helps all parties and removes controversy from an otherwise friendly relationship. How is the Service Tracker installed and how long does it take? Installation is power, ground and ignition input. Through our standardized harnesses, installation time is to 25 to 45 minutes. How “bullet proof” are the boxes? The printed circuit boards and other components in Service Tracker units are mechanically and environmentally hardened for service in extreme worksite environments. We apply an advanced conformal coating to ensure there are no exposed leads on the secondary side of the boards, and to protect the boards’ insulation resistance. OEM boards are humidity-tested, and rated for -40° to 80°C. Enclosures are powder-coated zinc die casting with polycarbonate labeling, a specification that protects products from dust, dirt, and pressure washing. Our products are also spike and surge protected, which is why they are widely specified for use in construction and other worksite management applications. How do you download data, and how far away from the unit can the system be? Downloading uses cellular and radio technology. The range for the radio is 300 feet line of sight. Can any of your tracking systems stop diesel theft? 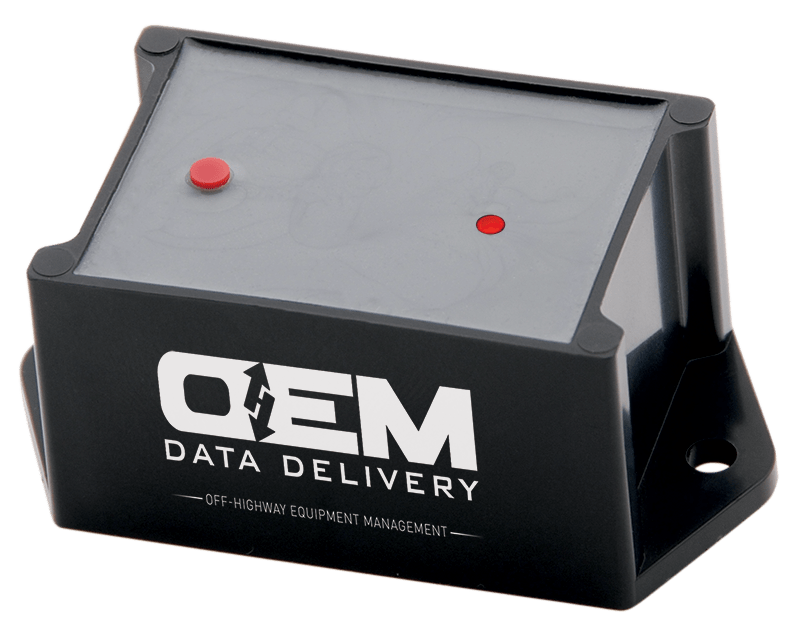 OEM Data Delivery has a tool that adds security and accountability to the dispensing of fuel, and helps stop diesel theft. The system will not dispense fuel unless there is a user pass code and an equipment identification via an RFID, Service Tracker or manual entry. Getting lube guys to call the office and find out how many hours there are until service is due can be an issue. Any ideas? Make it easy for them. With the OEM Data Delivery system, a lube man working for the company, or an independent refueler, doesn’t have to call anyone. He just has to walk up to any machine, and he instantly can see where a machine is relative to service. Does the system allow better control over rental charges? With the Bluetooth units, you know how often they are used, their location and how much fuel they consume. Our fuel tracking expenses are often a surprise. How can I find out what’s happening? And, how long will it take? With Pump Trackers on your fuel trucks, you can see immediately what’s happening and have complete accountability of every gallon dispensed. This is a totally transparent system – the PDA is used to input the data and a report is generated nightly. What kinds of IT support do I need to get this system running? None at all with the GoPOD. We become your “virtual IT staff” for the purpose of getting asset and inventory tracking data, and fuel data into usable form. The most sophisticated and valued technologies are the ones that are easiest to use, and our system is the epitome of that idea. It is self-contained, and there’s no need to expend your company resources to get full functionality. Data is input to the Data Vault, and we export it nightly, so you can download it into an accounting system. For this application, we are your second, autonomous, IT staff. Is there any benefit of this system for our subcontractors? Collecting details of daily transactions and events creates a rich database that you and your subcontractors can use to be more competitive, and more profitable. Construction work is usually awarded to the low-bidder, and this number is being forced down all the time. You don’t have the luxury of increasing costs, so you must squeeze out efficiencies. This system does that. You know that you’re not over-paying for rentals, and that you’re not over-servicing, or under-billing. This is the only system we know of where there are only winners – and the end result is more money in all pockets. What are the practical advantages of having such tight control over service? On highway projects, if equipment, say a hot mix truck, breaks down, work stops. And concrete’s 30-minute lifespan means you’re going to have to dump that batch. Having day-to-day control over maintenance and service means the likelihood of an unscheduled out-of-service is close to zero. What are some of the advantages in the event of an accident or some environmental incident? Any accident sets off a major requirement for information from insurance companies, worker’s comp and OSHA. 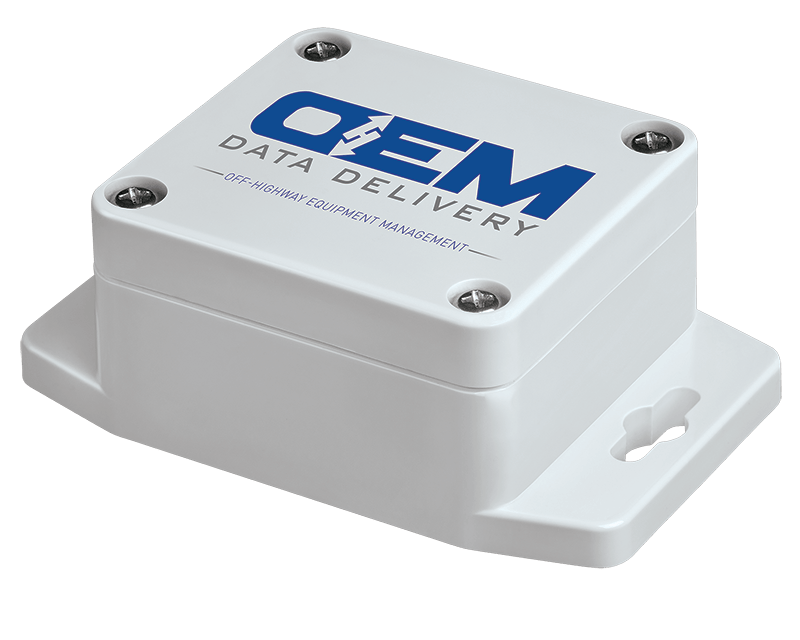 The OEM Data Delivery system takes you and your company out of the information-gathering business because it’s all there, from service intervals to inspection data. From an environmental standpoint, even a minor fuel spill sets off a process that’s hungry for documents. For companies today, this is a money hemorrhage that’s also a PR disaster. Until documents are secured showing service procedures were followed, your company will be hurting. This system changes how both of these scenarios play out, because, again, the information is there for the downloading. Accidents and incidents must be prevented at all costs, and fortunately the cost is not high at all. And the system operates virtually on auto pilot. Can this system help with equipment resale? Yes – it always facilitates a higher selling price because the buyer has all the stats at his disposal. What about on- and off-road tax recording? Because construction companies pay up-front and then must prepare refund claims, this system vastly simplifies the process. It’s all there in easily-downloadable reports. I can see that people who are not geared toward record-keeping would find your system useful. But we keep excellent records. Why do we need it? Those who keep meticulous records have file cabinets full of asset and inventory tracking data representing thousands of man-hours. We’d suggest that those data entry people can now be assigned to an activity that’s billable, instead. Also, their managers can spend their time and talents managing – rather than over-seeing. Contractors like us, in the northeast, have 6 months a year at most to work – rain can make it more like 5. We do double-shifts, and anything we can to keep on schedule. How can we work a new technology into this picture? Companies who’ve hired us have analyzed their time and found that 8-10% of total clock time is spent on accounting for the activities during the remaining 90%! This is lost time you can never make up. The alternative is to let an intelligent system do the tracking, so your people can spend their time on real work. What if I want to put the system on my network? Just have your IT people establish the network connection, within or outside your domain, depending on your security preferences. The GoPOD only needs an internet connection to work – and it can be Wi-Fi, land line, or cellular card. Either way, we do all the work and all you do is collect and view the data – and run your business. There’s nothing to worry about, and no issues of maintaining another computer. Are there any other advantages for refuel companies? There are no issues about transpositions and other human errors. And, with regard to safety, wireless is always preferable to climbing on a ladder.